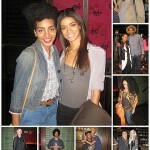 Pop Souk: Shop From The Closets Of Some Of The Most Fashionable New Yorkers Today! If you are in the New York area today you do not want to miss this! It is time for the second edition of Pop Souk. 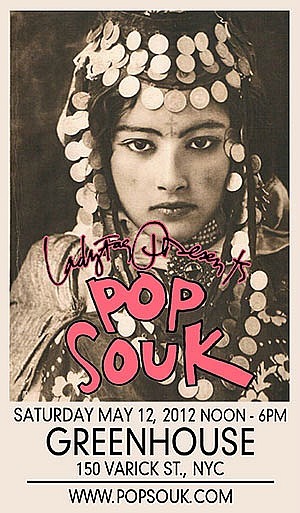 What is Pop Souk you may be wondering? Find out below with a few words by Pop Souk founder, the fabulous LadyFag. “Nightlife personalities, artists, musicians, DJs, designers, fashion junkies, drag queens and the rest of us who make up the creative landscape of Downtown NYC, are usually blessed—and cursed—with fabulously overflowing closets. More than just a marketplace, Pop Souk is an event where you’ll find some of the most talented New Yorkers hanging out in their own personal pop-up shops and hocking treasures from their own closets, selling their own designs, or tempting you with delights from their own kitchens. Come hear your favorite New York DJs spin, hang out with cocktails in the lounge, have your make up and nails done, get tattooed, taste the delicacies you never knew these night creatures could make and, of course, shop for your new Spring wardrobe! 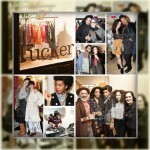 Our first Pop Souk back in the fall of 2011 was an amazing magical day; thanks, New York City! Are you ready for the next edition?! On Saturday, May 12th, from 12 to 6pm, all 3 club spaces on two floors of the newly renovated Greenhouse Nightclub will make way for POP SOUK! We are also excited to announce that the iconic fashion designer PAM HOGG will be our featured guest. A London cult legend, she will be there in person, bringing limited archival pieces to show and sell. All of our vendors have been announced on our vendors page. Pop Souk: Designers, Vintage Shopping, Music, Treats and Complimentary Bubbly Anyone? Seems like a really cool event, to bad I have to work :o( Post pics! I was in the same boat! I had to work as well. Next one! We should have UBB shopping event text alerts, lol.